Traveling is full of wonderful pros – and some glaring cons. We like to focus on the good aspects of traveling, which is easy to do since there are so many of them. But certain things can quickly become a challenge when thrown into your traveling lifestyle. Depending on where you go, staying active on the road doesn’t have to be difficult. We tend to walk a lot more than we do in everyday life, then throw in all the hiking, swimming, surfing, etc. If you are in a lull or staying someplace where the weather is not cooperating, try hitting the gym. Most hotels have fitness rooms you can use for free. Also, never discount the ability to exercise in your room. Pushups, jogging in place, and squats can all be done even if you are stranded at the hotel for a couple days. Without going into too much detail, I can admit I’ve struggled with this in the past. I seem to have a really hard time with keeping regular on vacation or when traveling. Now it may seem like it is not that big of a deal, but getting enough fiber in your diet and maintaining regularity is really vital to your overall health. Getting enough fiber assists in weight loss by helping you feel more full, helps to avoid constipation (which can be pretty miserable), and helps regulate various gastrointestinal disorders. 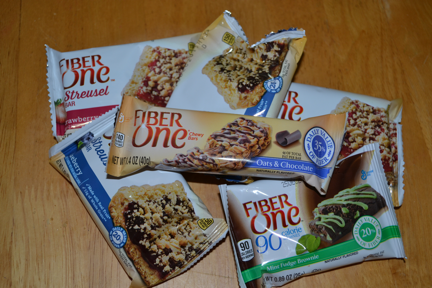 Fresh fruits and veggies all have varying levels of fiber, and in some locations these can be easy to come by, but I have found that carrying snacks like Fiber One bars can help tons! 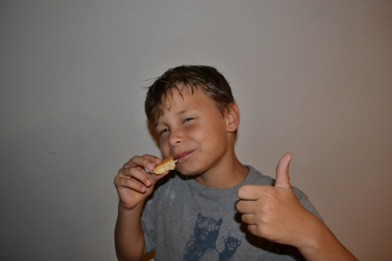 Fiber One has so many different options now like cookies, cereal, cereal bars, and even gummy snacks so that you can find a favorite product for everyone. 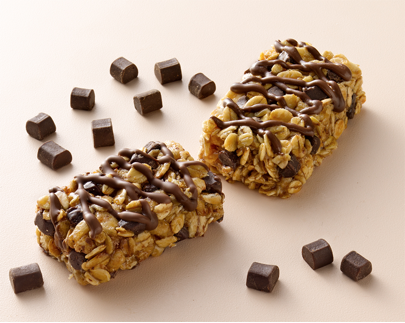 We love the Oats & Chocolate bars as well as the fruit snacks, and often carry them with us while we’re on the road. They help provide you some nutritional daily fiber and are honestly really delicious over some other quick snack options. Getting enough water is perhaps the best way to maintain your health. The worst I have ever felt while traveling was always due to letting myself get dehydrated. You know the 12-hour bus across Cambodia with no bathroom? That is one trip I tried not to drink a lot on. But what ends up happening is that I avoid a dreaded bathroom stop but end up with a terrible migraine. Not having enough water does terrible things to your body in the long term, not to mention the misery it can bring you short term. Water is usually available everywhere, and in countries where the tap water is not potable, I have found that the prices for bottled water are far lower than what we pay here in the U.S. If you can’t stand the thought of buying bottle after bottle, simply bring a water bottle with you! It may take up space but I have found it to be well worth it. If you’re traveling to a country where tap water is not drinkable, grab a steriPEN or other water sterilizer. They are small, easy to use, and could save your life! Research is not always my favorite part of travel, but I have found over the past decade that a bit of due diligence can go a very long way in terms of health and happiness, especially when you are traveling with kids. Try and be prepared with snacks that you can carry around with you. For example, we have a far harder time dealing with anything when hungry. If you plan ahead, you can be sure to have healthy snacks with you so you can avoid the quick purchase of the garbage that you find in gas stations or fast food spots around the globe. We also found that researching the food options a bit before heading to a destination really helps save time and crankiness! If you are heading out for a long day, check out what types of restaurants or food stalls there are at your halfway point. If you don’t see anything healthy, pack a lunch to bring with you. Probably the thing I struggle with most is staying consistent with healthy choices. It is easy to fall off the wagon and get into a funk of grabbing quick food or stopping at McDonald’s for a fast lunch, but it is almost never worth it as we find we feel terrible for the rest of the day. Try and stay on plan and give yourself those extra few minutes to think ahead about food for the day and plan accordingly so you can make healthy eating decisions. Most importantly, if you fall off the wagon so to speak, don’t let that ruin your good health long term. Each decision you make towards good health is important. If you make a few choices that aren’t the best, just make sure the following choices are better. Take it easy on yourself and don’t let one bad choice determine your choices for the whole day or week! How do you stay healthy while traveling? What other tips do you have for staying healthy on the road? Tell us about them in the comments section below!